A dental emergency can occur unexpectedly and can be quite stressful, especially if you do not know how to deal with it. You might find yourself wondering if the issue you are dealing with warrants a trip to the emergency dentist. 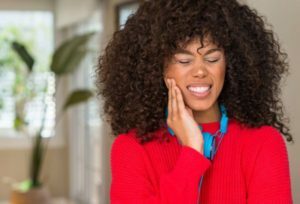 Here are some guidelines that will help you figure out the best course of action if you find yourself dealing with a dental emergency. While the dental issues above are not classified as emergencies, it is still important for the person to visit a dentist as soon as possible. Any of these issues can spiral into something serious over time if unaddressed. How should a dental emergency be dealt with? The first thing a person should do is contact a dentist. Most dentists will figure out a way to work a patient into their schedule if a patient is dealing with an issue that requires emergency care. If the person is not able to work out something with their dentist, they should head to an emergency dental clinic. These are facilities that are typically open 24/7, and an appointment is normally not necessary. If all that fails, the patient should head to an emergency room if the pain is unbearable or the bleeding is severe. There are simple things that can be done that make it easier to deal with dental emergencies. The most important thing is for patients to remain calm. Failing to do so triggers a physical response that actually makes the problem worse. Rinse the mouth with a warm solution of a cup of water and a teaspoon of salt. It helps to reduce inflammation and relieves pain. When dealing with a knocked out tooth, save any part of it that can be found and store it in milk or saliva. The dentist might be able to reattach it. Use ice packs to reduce swelling around the affected area. Rinse the mouth with a warm solution of hydrogen peroxide and water. It helps to kill bacteria and reduces toothaches. If you are dealing with a dental emergency, talk to one of our dentists about getting treated right away.